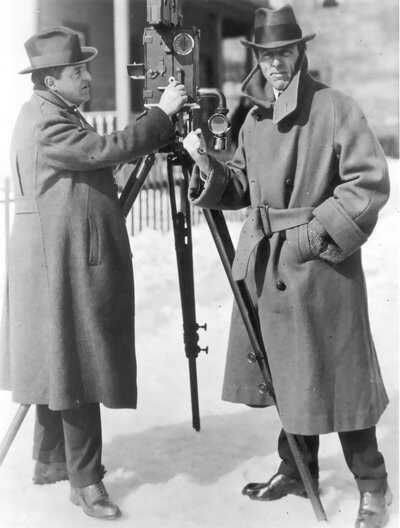 For D.W. Griffith, life was a spontaneous adventure. For years he travelled around the country trying to find success as an actor and playwright, and failing at both endeavors. His failure would turn out to be a blessing for the film industry. When Griffith shifted his attention to film directing, he transformed the language of the new medium, making it into a vehicle for political and social commentary. When David Wark Griffith was born on a Kentucky farm in 1875, his father, Jacob Griffith, had already been a doctor, a soldier, a prospector for gold, and a state legislator. The family lost their fortune during the Civil War and Jacob did nothing to regain a comfortable living. He fed his son with stories of exotic, dangerous adventures, leaving young David's education in the hands of his daughter, Mattie. His older sister's attention and his father's narratives helped equip David with curiosity and a keen intellect. When he was a teenager the family moved to Louisville, and Griffith began developing his literary and musical knowledge. He was an an avid reader who liked novelists including Robert Browning, Leo Tolstoy, and Charles Dickens, and also enjoyed Civil War histories. He began writing plays, took singing lessons, and tried acting. To be around the theater he worked as an usher, stagehand, and extra. In 1896 Griffith was swept away by his experience as an extra in two plays starring the great actress of the day, Sarah Bernhardt. As the nineteenth century gave way to the twentieth, Griffith was travelling around the country with touring theatrical companies. 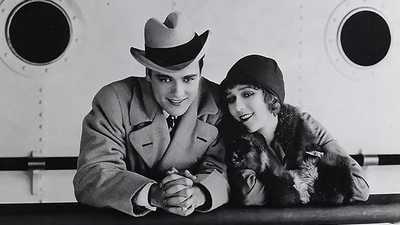 On one job, Griffith met the young actress Linda Arvidson Johnson, and they married in 1906. The couple moved to New York and Griffith eventually made his way to the front door of Biograph, one of the first American film studios. He was hired as an actor, but was soon pressed into service as a director. Griffith's first film, The Adventures of Dollie debuted in New York's Union Square in 1908. According to his wife, Linda Griffith, there was not a snore in the hall during the entire nine-minute film. Biograph took this to mean success. In comparison to other films of the era, Dollie was well-crafted, with convincing characters and entertaining action scenes. The film sold 25 prints, sealing a contract -- and a new career -- for Griffith. He would direct 60 films over the next six months, earning $50 a week. The accomplished stage actress Mary Pickford arrived at Biograph in 1909. Griffith's prop boy was the first one to greet her, and reported to the director that she was "a looker." Griffith met with Pickford and was taken with her fresh beauty. He described her eyes as having a "languorous" look. After just one conversation he hired Pickford, offering her five dollars a day, then agreeing when she doubled it to ten. 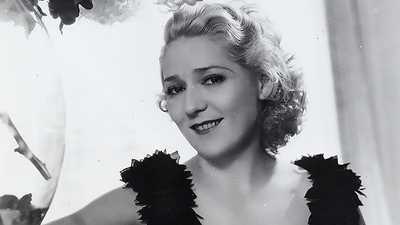 Every time she did more than the work contracted, Pickford demanded more money; the shrewd negotiator soon became the highest paid Biograph performer. The combination of Griffith's natural ability behind the camera and Pickford's growing popularity made Biograph a top film company. Griffith's own background as an actor gave him a unique perspective. His creativity and willingness to take risks were essential to the new medium. He was the first to consciously use many techniques of contemporary film: subtitles, night photography, the still-shot, camera pans, fade-outs, and close-ups. He also had an endless supply of ideas about how to shoot scenes, how to direct actors, and how to edit. Griffith stunned audiences with The Birth of a Nation in 1915. The technically pathbreaking film told the story of families from the North and South during the Civil War and postwar Reconstruction. But it presented history in a revisionist light, portraying the African Americans who had been slaves as villains, and the violent vigilantes of the Ku Klux Klan as heroes of the period, stirring tremendous controversy. Woodrow Wilson agreed to the first-ever White House screening of a film, and his reaction revealed a moral blind spot: "It was like writing history with lightning. And my only regret is that it is all so terribly true." Race riots occurred in cities across the country and the film would be subject to lawsuits for years to come. While The Birth of a Nation was receiving such a torrent of criticism, Griffith set out to produce a film to counterbalance his masterpiece with a film about the atrocious effects of intolerance. The set of Intolerance (1916) was gargantuan, with no effort spared to create a replica of the court of Babylon. Critics applauded the film's magnificent scale, but it failed at the box office. In 1919, D. W. Griffith joined forces with three of the most prominent actors of his time, Mary Pickford, Charlie Chaplin, and Douglas Fairbanks, to found a new studio, United Artists. The partners took control of the distribution of their own films, challenging the studios' monopoly on distribution. In the later 1920s and early 30s, Griffith continued making films, but none achieved the acclaim of his earlier successes. His film subjects were Victorian at the core, and as the years passed, new audiences stopped relating to the values and ideas he presented. While the innovations he brought to film were adopted by contemporary directors, Griffith himself went into virtual seclusion and spent his last years almost forgotten by the film industry that he helped create. Upon Griffith's death in 1948, actor Donald Crisp said, "It was the tragedy of his later years that this active, brilliant mind was given no chance to participate in the advancement of the industry." 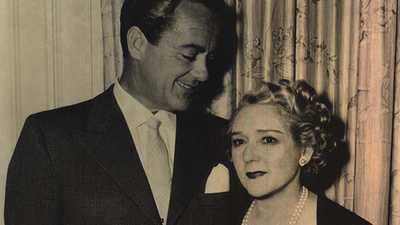 When Mary PIckford's marriage to Douglas Fairbanks fell apart, she increasingly turned to her friend and former co-star Buddy Rogers for support.